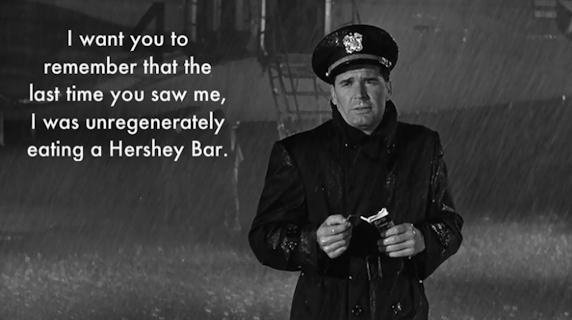 The Americanization of Emily (1964) is a wonderfully satirical, dark comedy about a “dog robber” in the US Navy serving during WWII. Starring James Garner as Charlie, a self-proclaimed coward, the film tells the story of this unscrupulous officer who prefers to avoid heroism in lieu of self-preservation. Charlie is said to be one of the world’s best “dog robbers,” as he is able to obtain anything Admiral William Jessup (Melvyn Douglas) requests through either bribery or intimidation. 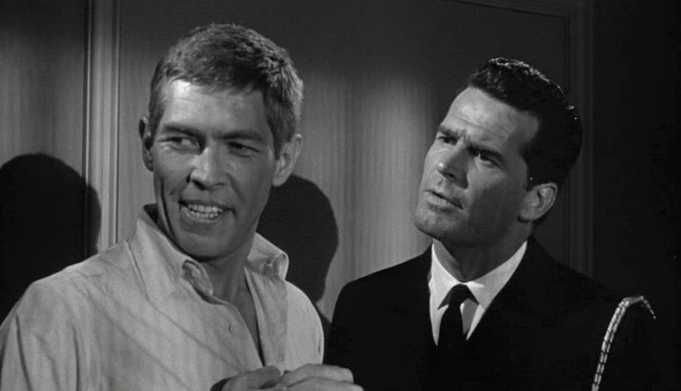 He also takes good care of his wartime buddy “Bus” Cummings (James Coburn) by supplying him with beautiful women (indeed, one of the main sources of humor in the otherwise dark and serious subject matter of the film is found in Charlie’s continuous disruptions of his buddy’s “adult” escapades). Charlie and Emily begin a romantic relationship when he discovers her waiting for him in his room after the party. She explains to him that his most attractive quality is his cowardice. After losing a brother, husband, and father in the war, she doesn’t want to suffer another loss. Since Charlie isn’t interested in being a hero at war, she assumes he is a safe choice for a lover. When James Garner asks you to marry him, you don’t hesitate. 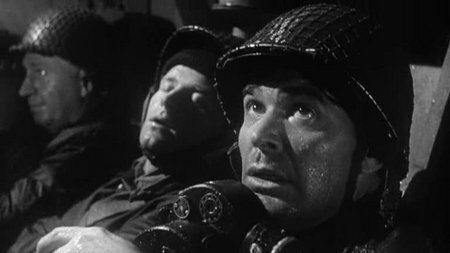 Unfortunately, soon after they fall in love, Charlie is ordered to attend the front lines on D-Day in order to make a film highlighting the virtues of the American Navy. He immediately protests to the admiral. The admiral is said to have suffered a “cracking up,” though, and is insistent upon Charlie being present for the making of the film. Since his wife’s death a year prior, the admiral has been acting strangely and having episodes of panic attacks. Unable to reason with him, Charlie and Bus are sent to the front lines of the action on the beaches of Normandy. 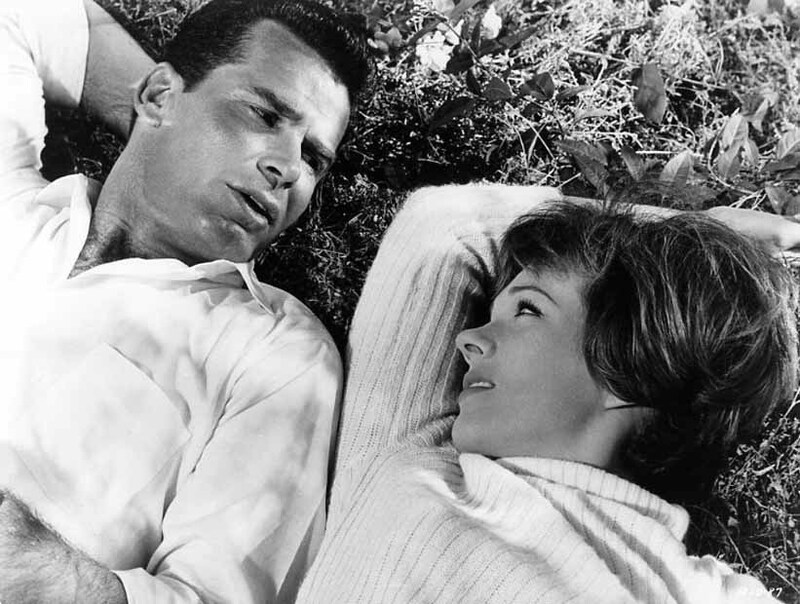 James Garner, who sadly passed away last week at the age of eighty-six, long referred to The Americanization of Emily as his favorite of all the films he made during his long career in Hollywood. And it’s little wonder, because he gives a remarkable performance in the movie. Garner shines as a not-so-heroic sailor who just wants to get out of the war alive. He is virtually flawless, transforming with deceptive ease from crude, immoral, suave dog robber, to soul-stricken lover, to terrified soldier in fear of death on the beach of Normandy. His chemistry with Andrews is quite effective, too, and they make a convincing onscreen pair (one that they would revisit quite successfully with 1982’s Victor/Victoria). True Classics thanks Warner Archive for providing a copy of The Americanization of Emily for the purposes of this review.